Arsenal midfielder Mesut Özil will not be part of Unai Emery's squad which faces Liverpool at Anfield during the late kick-off on Saturday. 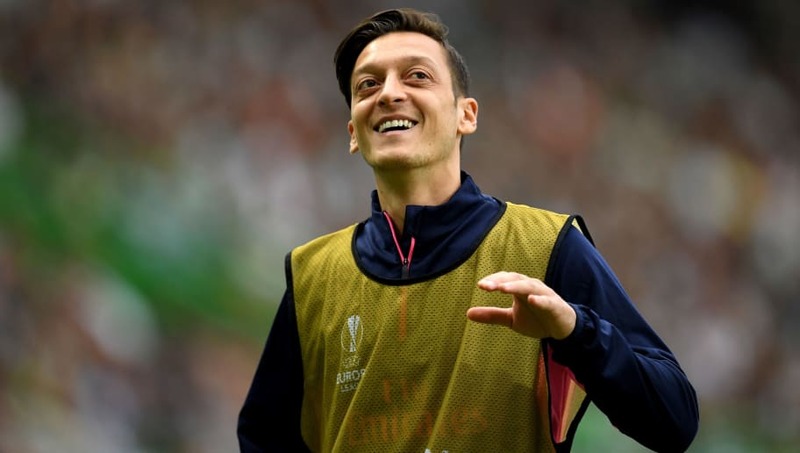 The World Cup-winning playmaker trained as normal before the team travelled up to Merseyside on Friday, but Özil did not join his teammates on the 200 mile trip to the north-west. That is because, as the Daily Mail among others report, Özil complained about a knee injury which was picked up during Arsenal's recent 1-1 draw against Brighton before boarding the coach to Anfield. The same publication has previously claimed that Özil would be used sparingly away from home - especially against the 'top six' - as he can't provide the same level of high-intensity pressing which Emery demands from his attacking players. Respected journalist David Ornstein also confirmed the news of Özil's absence late on Friday evening, just hours after telling BBC 5 Live that although the midfielder is currently in limbo under Emery, he doesn't want to leave north London. Since the end of November, Özil's only had one significant match with the Gunners, during their 3-1 win over Burnley, while playing for just 65 minutes throughout the rest of the Christmas period. Despite being given the new contract at the Emirates towards the back end of last season which many fans were craving, Özil's standing amongst supporters is falling drastically and there appears to be an openness to selling the former Real Madrid star at the end of the season. If Özil was to leave Arsenal then the club would be forced to spend big on a ready-made replacement as they will also be losing Aaron Ramsey on a free transfer in 2019.